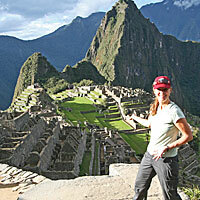 Robin started AWR in 2000 after traveling around the world for her honeymoon. Normally when she travels, she likes to make her own schedule instead of being tied to a guide or a group. However, in planning for her once-in-a-lifetime trip, Robin realized there were places in the world where a guide is either required or makes the whole trip worthwhile, like hiking the Inca Trail, going on an African safari, and visiting Bhutan. Looking back at her various travels, Robin found that her favorite trips were ones with a sense of adventure with a combination of activity, wildlife and nature, and local culture. Rather than taking a bus tour to a bunch of museums, Robin would prefer to hike to a remote Incan ruin, visit a local Bhutanese family, or watch ostrich parents protect their babies from a nearby jackal. These kinds of moments are what Robin tries to find for AWR’s clients — the best travel experiences but that still save time and money for the next adventure. For all you independent travelers like Robin, you can have all the comforts of a group trip but customized to your own personal tastes when you book a trip with AWR. While growing up in Wisconsin, all Dan could ever think about was getting outside. His love of the outdoors fueled his desire to see more of our beautiful world. Dan has traveled the globe, from the high Arctic to the Antarctic, from Africa, India, and Thailand, to North Dakota & Iowa (and many points in between and further out). 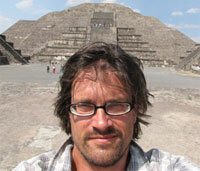 As a result of his travels, Dan is a jack-of-all-trades and can help AWR clients with any destination in the world. Experiencing other cultures and encountering truly wild places and wildlife has been his calling since graduating from the University of Wisconsin-Oshkosh. When he’s not at the office helping AWR clients with their trips, you can find him backpacking in the mountains, skiing, rafting or canoeing a river, hiking nearby trails, or checking out a “must-see” concert. Barb has loved the outdoors her whole life, thanks to a lifetime of camping and travel experiences with the Girl Scouts of the USA. While she traveled extensively in Europe over the years, it wasn’t until joining AWR in 2004 that she ventured to more “adventurous” areas of the world. Barb is a role model for all women over 60 – hiking Peru’s Inca Trail to Machu Picchu and the Santa Cruz Loop in the Cordillera Blanca; climbing Mt. Meru in Tanzania; hiking the Druk Path trek in Bhutan; Class IV white water rafting, snorkeling, and scuba diving in the Galapagos. She and friends are still tackling the Pacific Crest Trail by sections . . . a lifetime challenge! 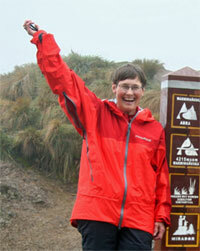 The rest of us here at AWR all want to be like Barb when we grow up! As an AWR Latin America reservations specialist (Peru, Ecuador, the Galapagos Islands, and Easter Island), Barb does an amazing job of putting together the best itinerary for each client’s time frame and budget. Her travels to Peru have helped her to learn what each city and village offers and how to make the trek, tour, or excursion an authentic cultural encounter for our clients. 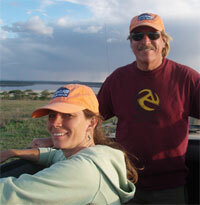 Her experience with our high quality and energetic outfitters ensures a superb travel value. Gretchen was born in New York City and raised in Seattle, WA. Visiting family and friends throughout the world as a child, ignited within her a deep and ever-broadening desire to venture into the unknown and seek out intercultural experiences and adventures. 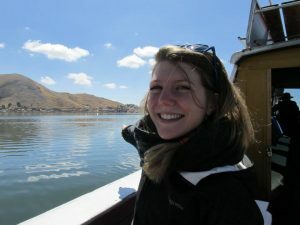 The vast majority of Gretchen’s high school and college years were spent abroad, as she constantly sought out new ways to study, teach and travel internationally on her own. She has lived, studied and worked in Thailand, Argentina, Switzerland, Spain and the US and has traveled extensively throughout Europe, South America and Asia. Her studies focused on anthropology and Spanish linguistics and she received her split B.A. from The University of Washington and La Universidad de Buenos Aires. Gretchen’s upbringing in the Pacific Northwest instilled in her an intense enthusiasm for hiking, rock climbing, biking and anything outdoors. She also has a passion for cooking and language- she speaks English, Spanish, French, Slovak and Thai and is hoping to add to the list. Though she has strong connections with many other parts of the world, her true love and second home lies in South America. She takes great pride in passionately assisting other travelers as they begin to plan their own adventures to the continent.